i live in california with my cat Myshka and my leopard gecko Pokey. we have a nice little family :) im hoping to learn as much as i can about geckos so that i can provide the best care. 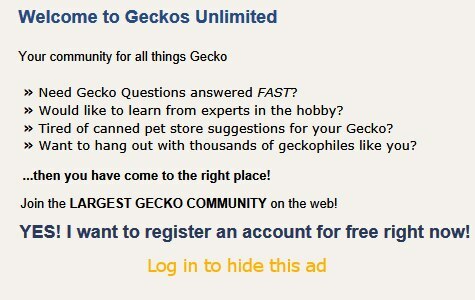 my leopard gecko is a tang/afghan mix that i bought from geckoboa.com. she is currently around 5 months old and lives in a 20 gallon long tank. she has quite the personality in that she is small and bratty lol. she does not like being held but is a spitfire with her own independence and i appreciate that. her favorite food is mealworms and the occasional dubia roach. i dust her food with calcium every feeding, and with minerals/vitamins twice a week as she is growing. she has a very cozy tank with five cave hides, and natural hides created by branches and fake plants. i recommend this so much, i think the three hide suggestion doesn't give them enough safety! and she likes to climb, though i do not keep the branches up any higher than 1 inch. 01:35 AM - catflint mentioned arlo17 in post 3 mo. old gecko dull colors after 2 weeks- stress or shed? 03:36 AM - catflint quoted Fowlertoad in post How to keep cat from breaking screen top on terrarium? 05:00 PM - catflint quoted arlo17 in post how do i feed my gecko without scaring her?